I am planning a programme of 12 workshops to be held between 10 am and noon on the last Saturday morning of each month, beginning on Sat 26th January . They will be held in my Writing Room in Chobham, Surrey. 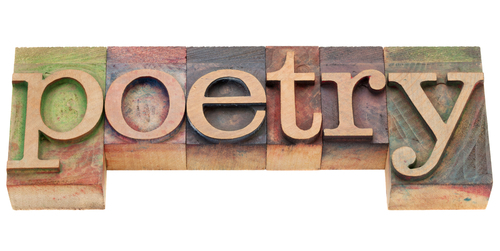 The aim is for participating writers to amass a year’s poems, in varying styles and using many different forms, including free-form. Subject matter will range from seeking a fresh voice for the purely seasonal to exploring the emotional responses to different times of the year. It may be that we respond to current events or even past events linked to the month in which we are working. The advantage of working in a regular workshop group is the development of our individual voices with support and input from our poetic peers and the end result will be a widening of our experience as well as a portfolio of work which may achieve the emergence of a new voice, the basis of single competition entry standard poem, the contents of a chapbook or even the core of a collection… or even all of these things. The maximum number of participants will be ten for each workshop in order to be able to spend time on form, discussion of subject matter and to include some reading and feedback time for each person. New poet or old hand, we will all benefit from working in a friendly and dynamic group. The cost per workshop, (each will stand alone) is £20 and include tea and bun! Anyone booking six sessions in advance will pay only for 5 – £100. Advance payment for 12 workshops is £200. If a full course is booked and anyone has to miss a date in the programme, I will supply email notes and electronic feedback for one poem arising from the notes. The dates for the year are: 26 Jan; 23 Feb; 30 Mar; 27 April; 25 May; 29 June; 27 July; 31 Aug; 28 Sept; 26 Oct; 30 Nov; Dec to be arranged closer to the time and to suit participants in case 28 is too difficult. Please email me separately (sjbpoetry@gmail.com) if you are interested in booking for the course with the words A Poetry Year in the subject of your email.